1 The Sun has sufficient helium mass to provide the Earth with energy for another five billion years and, every 15 minutes, it emits more energy than the earth's population uses in an entire year. 2 The Earth receives only one half of one billionth of the Sun's radiant energy, but in just a few days it gets as much heat and light from this radiant energy that could be produced only by burning all the oil, coal and wood on the planet. 3 The Sun represents 99.8% of the total mass of our solar system, its surface temperature is 6000ºC, and its total energy could melt an ice cube the size of planet Earth in just 30 minutes. 4 Globally, there are some two billion people who are without electricity. For these populations it is more economically viable to install solar panels than to extend established electricity grids. Businesses across the globe can use solar energy to reduce the risk of volatile and rising fossil fuel prices, thereby reducing or stabilizing operating costs. This is particularly true where governments have moved to tax carbon emissions. Additionally, some world governments offer incentives and rebates to increase the use of renewable energy sources as well as reduce the risk and costs of power outages. Moreover, businesses can strengthen relationships with customers and the community alike, by showing concern for climate-related issues by using clean energy. Governments across the globe are concern about the environment and providing clean air for their citizens as well as for future generations. Additionally, the possible shortages of fossil fuels can play havoc on world economies. Individuals around the world are concern about a cleaner planet for their children and future generations as well as economic reasons as conventional energy sources are depleted and become more costly. Climate change is a rapidly advancing crisis that threatens millions of plant and animal lives and the environment according to leading international scientists. - The increase of extinction for up to 30% of the world's natural species by 2020 with total extinction of 40% of the world's species by 2080. - An increase of natural disasters such as floods, wildfires and storms. - Greater mortality rates from heat waves, floods and droughts. - The melting of polar regions, raising sea levels by 13 to 20 feet resulting in land masses being covered by water. Climate change is caused by the build-up of carbon dioxide and other greenhouse gas emissions. In the atmosphere, carbon dioxide is produced by human activities such as industrial processing where fossil fuels are used as the energy source. In addition, the destruction of the world’s forest which aids in removing carbon dioxide from the atmosphere is being depleted at a alarming rate. To address climate change, the world community must make dramatic changes to reduce our greenhouse gas emission by moving away from traditional sources of energy to more renewable and environmentally friendly sources of energy. A commitment from governments, business and individuals is required to reverse the harmful effects of using fossil energy. At Worldwide Energy and Manufacturing, we are committed to raising awareness of climate change issues and helping the global community to understand the importance of solar energy in reducing carbon emissions. We desire to work with the community at large in providing an energy source that is efficient, affordable, reliable and clean for the benefit of all. Plus Tolerance: 0-+3%, to make sure the highest output of the modules and the best benefits for our clients. Best Warranty: 10 year Quality warranty, and 12 and 30 year product power output are guaranteed. More Detailed Classifications of modules: This will help improve the performance of the whole solar power plant ( by classifying power and even current ). Solar cells of high efficiency: International Energy Solutions is only using high- efficiency solar cells to ensure maximum power output and stability of solar modules. Tempered Glass: High transmission rate tempered glass increases solar transmission and ensures excellent mechanical strength of solar modules. Best EVA and TPT: EVA and TPT adopt high quality raw materials so as to ensure good performance of atrocious weather prevention. International Energy Solutions is only using the most reliable EVA and TPT in solar industry, which is proved by long-time testing and history. Junction Box: International Energy Solutions ’s Junction boxes are specially designed for waterproof and insulation, and the special bypass diodes inside the junction boxes greatly reduce the hotspot effect and guarantee stable power output. Performance Tests: International Energy Solutions Solar Modules has passed testing of IEC61215 and safety test UL1703, which ensures that International Energy Solutions modules work very well under the atrocious weather condition. Special Performance: International Energy Solutions modules still keep higher power output under dim light conditions. Strict Quality Control: International Energy Solutions is doing 100 percent testing about module current and voltage, to make sure that 100% modules for our customers are qualified. International Energy Solutions, s.a.r.l. (hereafter is referred to as “IENERGY”) warrants its Photovoltaic Module(s) (‘PV Module(s)’), including factory-assembled DC connectors and cables, if any, to be free from defects and/or failure specified for a period not exceeding ten (10) years from the date of sale as shown in the Proof of purchase to the Buyer. Note: This warranty shall not apply to cracking of glass caused by external shock from flying objects or by external stress. 3) Non-conformity to specifications due to faulty production and/or inspection processes. If PV Module(s) fails to conform to this warranty, International Energy Solutions will repair or replace the PV Module(s), at International Energy Solutions ’s sole option. The remedies set forth in this clause 1 shall be the sole and exclusive remedies provided under the “Limited Product Warranty”. This “Limited Product Warranty” does not warrant a specific power output, which shall be exclusively covered under Clause 2 hereinafter (“Guaranteed Peak Power Limited Warranty”). International Energy Solutions warrants the power output for PV Modules for a period of twelve (12) years from the date shown in the commercial invoice to the Buyer. If the PV Module(s) exhibits a power output less than ninety one point two percent (91.2%) of the minimum “Peak Power at STC” as specified in International Energy Solutions ’s Product Labels, provided that such loss in power is determined by International Energy Solutions to be due to defects in material or workmanship during manufacturing and not due to faulty installation, International Energy Solutions will at its sole option replace such loss in power by either providing additional Module(s) to the Customer to make up for such loss in power, or by repairing or replacing the defective Module(s). International Energy Solutions warrants the power output for PV Modules for a period of Thirty (30) years from the date shown in the commercial invoice to the Buyer. If the PV Module(s) exhibits a power output less than eighty point six percent (80.6%) of the minimum “Peak Power at STC” as specified in International Energy Solutions ’s Product Labels, provided that such loss in power is determined by International Energy Solutions to be due to defects in material or workmanship during manufacturing and not due to faulty installation, International Energy Solutions will at its sole option replace such loss in power by either providing additional Module(s) to the Customer to make up for such loss in power, or by repairing or replacing the defective Module(s). The remedies set forth in this Clause 2 shall be the sole and exclusive remedies provided under the “Guaranteed Peak power Limited Warranty”. All warranty claims must, in any event, be filed within the applicable warranty period. Other unforeseen circumstances or causes outside International Energy Solutions ’s control including, but not limited to, surges, lightning, earthquakes, typhoons, hurricanes, tornadoes, volcanic action, floods, tsunami snow damage, etc. The “Limited Product Warranties” and “Guaranteed peak Power Limited Warranty” cover only the transportation cost for reshipment of any repaired or replaced PV Modules(s) to the place of installation, and do not cover any transportation charges for the return of PV Module(s) to International Energy Solutions , customs clearance or any other costs related to installation, removal, or reinstallation of the PV Module(s). Warranty claims will be honored only if the product can be identified as being manufactured by International Energy Solutions , as indicated by product label, serial number, etc. International Energy Solutions shall not be liable for any incidental, indirect, consequential or special damages, howsoever caused, loss of use, loss of profits, loss of production, loss of revenues are therefore specifically but without limitation excluded. 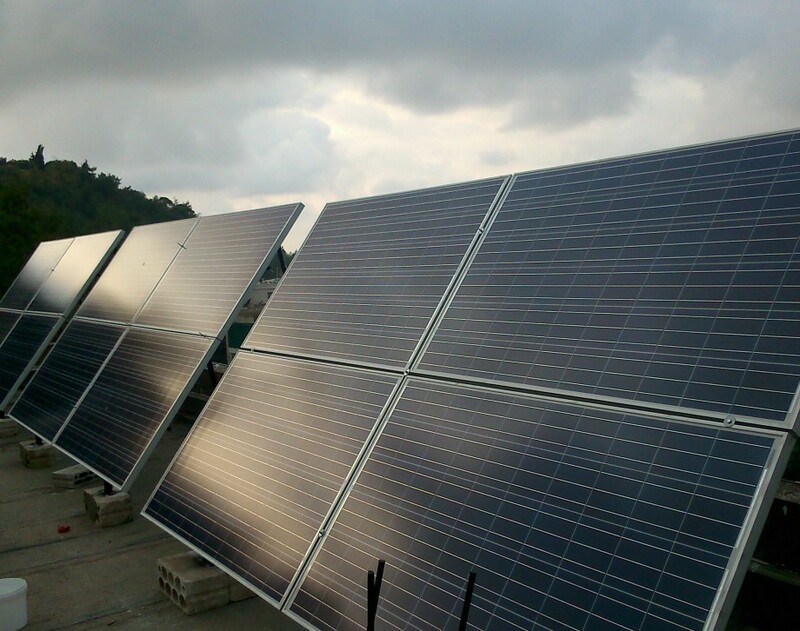 International Energy Solutions ’s aggregate liability, if any, in damages or otherwise, shall not exceed the purchase value of the PV Module(s) as paid by the Buyer. 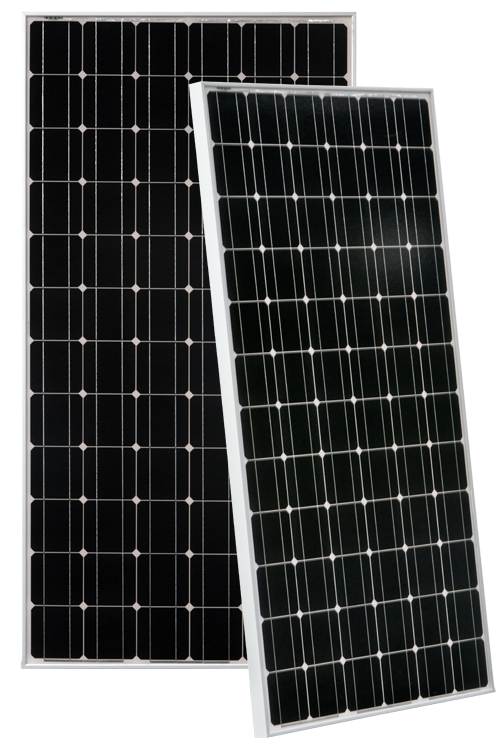 This “Limited Warranties for PV Module(s)” are applicable only to Buyer who has purchased the PV Module(s) directly from International Energy Solutions . 1) An immediate notification shall be filed directly to International Energy Solutions . Together with the notification, the Buyer should provide a description of the claim, the corresponding module serial number(s), and Proof of Purchase such as a commercial invoice. 2) The return of any PV Module(s) will not be accepted unless prior written authorization has been given by International Energy Solutions . 3) Any replaced Modules shall become the property of International Energy Solutions . International Energy Solutions shall have the right to deliver another type of PV Module(s) (different in size, color, shape and/or power) in case production has been discontinued at the time of the claim. The repair or replacement of the PV Module(s) or the delivery with additional PV Module(s) does not cause the beginning of new warranty terms, nor shall the original terms of the “Limited Product Warranties” and the “Guaranteed Peak Power Limited Warranty” be extended. 4) This warranty is transferable when product remains installed in the original location. 5) Buyer shall notify International Energy Solutions immediately after discovery of any claim under this Limited Warranty by letter, facsimile or e-mail specifying each alleged claim including evidence of the claims (photos of defective modules and QC stamps) and the serial numbers of the Product(s) at issue. In case of any discrepancy in a warranty-claim, a test-institute such as Fraunhofer ISE in Freiburg/Germany, TÜV Rheinland in Cologne / Germany, or ASU Arizona State University shall be involved for final judgment. All fees and expenses shall be borne by the losing party, unless otherwise awarded. 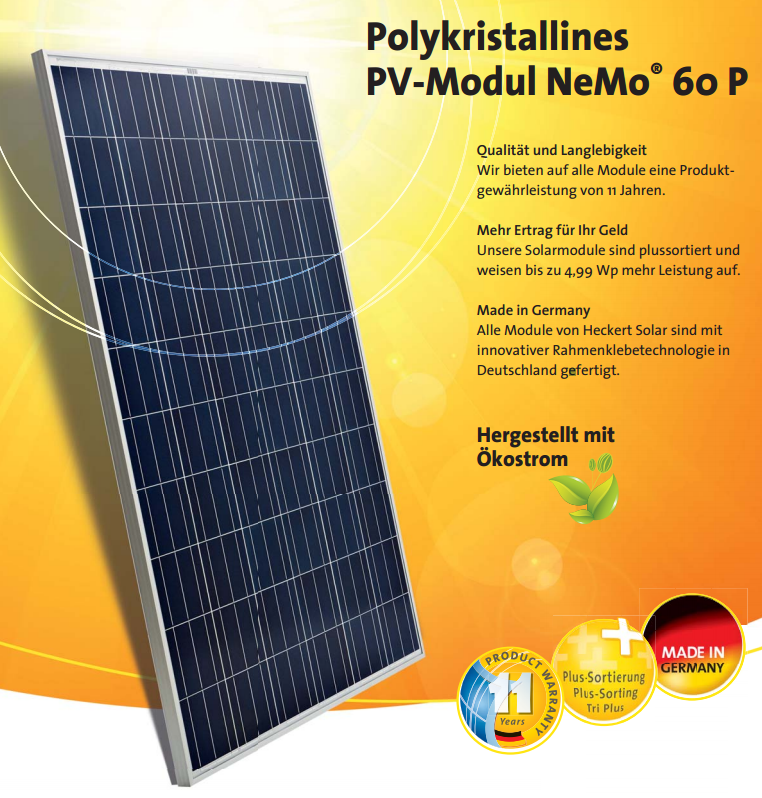 This limited warranty for PV Module(s) shall be Valid for 10 years afert the Buyer purchase date.